Oh that turned out super cute! And hurray for using precious fabric!! 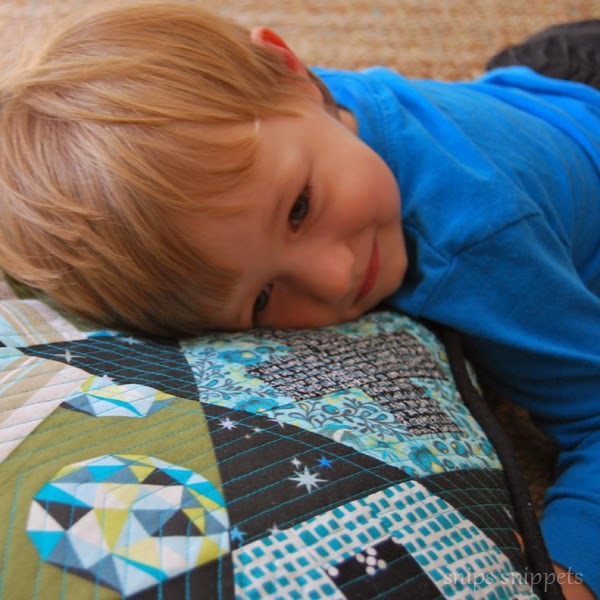 :D Have you seen Emily Herrick's Hex Plus pattern? That's what I instantly thought of when I saw yours. Good luck on this round!!!!! This is insanely good and easily my most favorite project for the Hexie challenge! AWESOME job- the fabrics are gorgeous and it looks amazing. 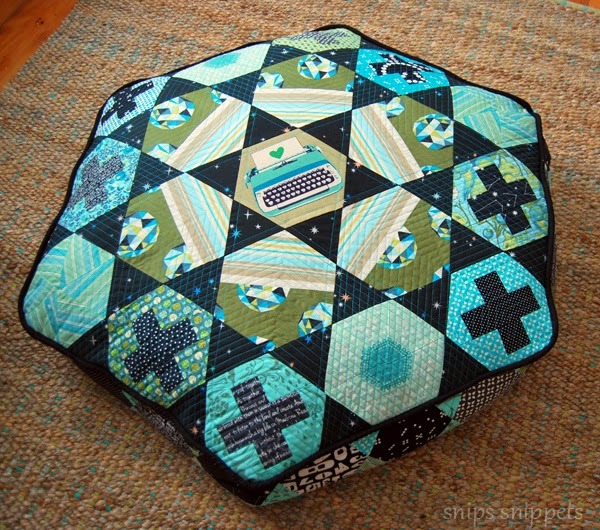 I want a giant hexie cushion now!! I love that you tried something different and you obvisouly succeeded, it's beautiful AND useful! Love it! 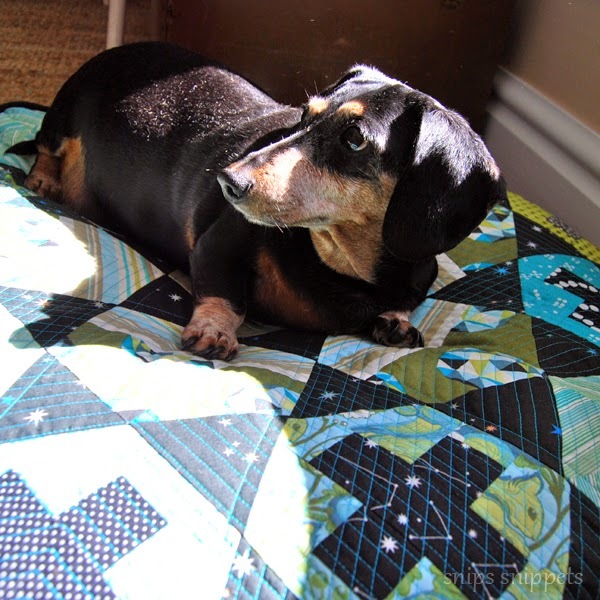 Looks like a great project to make and love shorty as a name for a dachsie! Lovely interview on Gnome angel too! Off to vote! Oh Nicole, I'm so glad I didn't join Survivor because you would be so hard to compete! I love your projects, so creative and I can see all the little details and thought you put into it. Fabulous! This is Awesome! The boys seem to love it too. 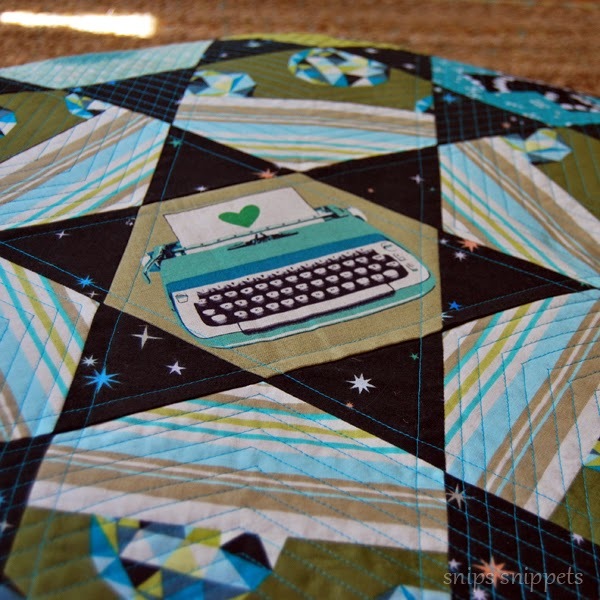 I couldn't quilt over the typewriter either. I have a couple fussy cut typewriters and I haven't been able to make myself use them for anything yet. Very well done! Congrats on another great finish! It's so fun to have you to cheer for in this competition, and even more fun that you're truly rocking it. great job and gorgeous floor cushion!! it is very original and very you!!! 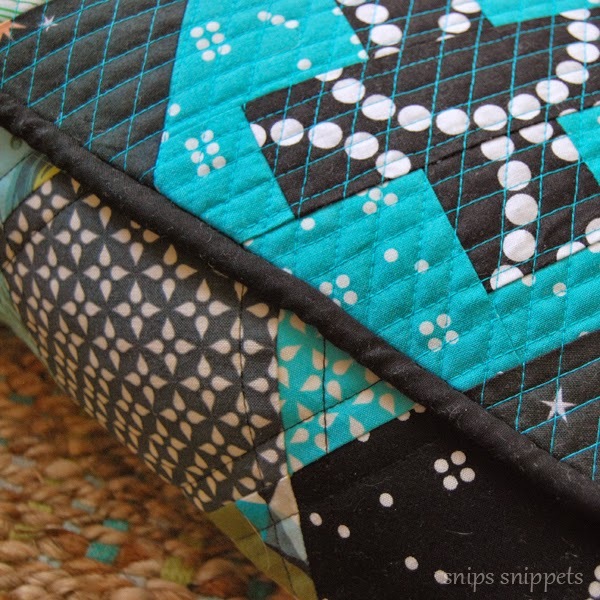 i like to see a variety of projects and now i want a floor cushion just like this!!! i was wondering how you filled it; what a great idea and use for the duvet!! i am glad you will be doing a tute for the hexies because i was going to ask you for one. you have done a phenomenal job week after week, project after project!! Way to knock it out of the park once again!!! I love what you've done for this round and have voted for you already. Those colours and great, and making the typewriter the central feature really works well. I do hope you make it through to the next round - I've loved all of your entries. Well done. This was a clever idea and I love the end product! 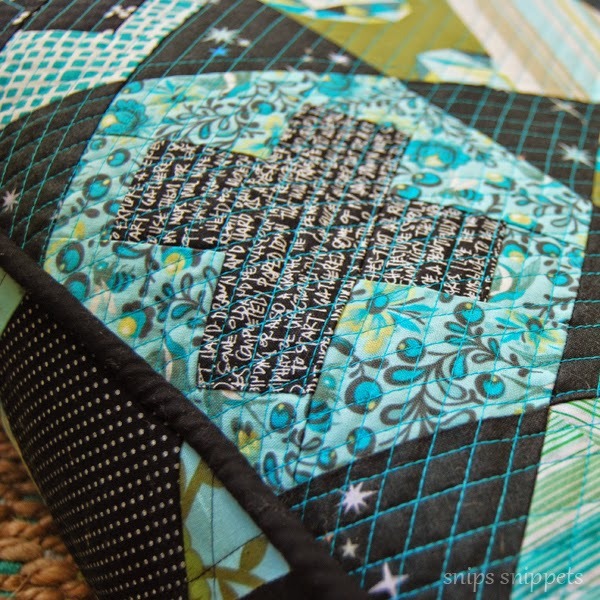 Great use of fabric and pattern and I love your quilting detail! Your pillow is so awesome! I love the colors and fabrics and different hexies. I'm so impressed with the things you putting out in only two weeks! I hope you make it through! It was so easy to vote for your project. Your creativity is over the top and in my opinion you can never go wrong with teal/aqua. I think this is a winner! This floor cushion is awesome!!! You definately got my vote. The fabrics are stunning together. 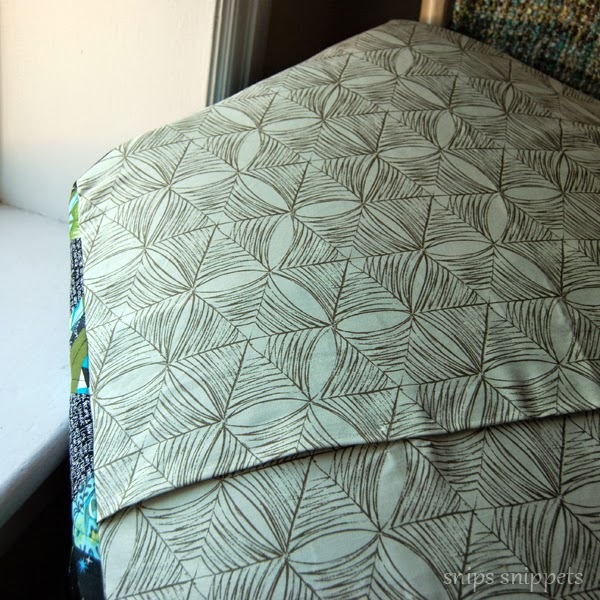 Did you use a pattern for the floor pillow or is it all original? If it original you should make a pattern, I know I would buy it. Great job and good luck!!! So cool! I love the kaleidoscope effects, especially. It really stands out among the other entries. You have my vote for sure! gorgeous! love everything about this, and feeling inspired to make some of those amazing crosses in hexies!! I voted. Yours is by far the best. What a great pillow. Looking forward to the tutorial for the + hexies. Good luck. Oh Nicole, and I though you would not be able to top the Star Wars theme last time. Rock on Girl, Rock on! Ohh, i have a down duvet we're not using now...great idea! I love this SEW much!! This will be getting my vote! This is brilliant! Fantastic idea that turned out perfect. Love the size of it too! You are extremely talented! Love your cushion! 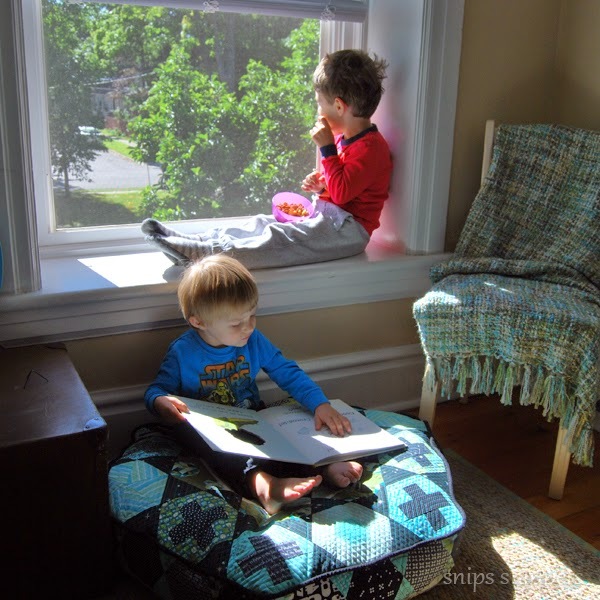 (here via Rach @ Family Ever After) I don't think I could have cut up that precious fabric for a floor cushion! Beautiful job. My favourite project in my favourite colour, just beautiful! You got my vote! 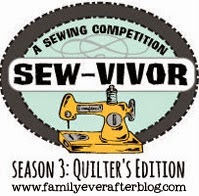 Hands down my fav Sewvivor project since the beginning of the competition. It is totally unique and your fabric choices, fussy cutting and construction are just amazing! Congratulations on a truly fabulous project and good luck for the next round! This is now one of my favourite things I have seen like ever! Did you really just stuff it with a duvet? Is it lumpy? 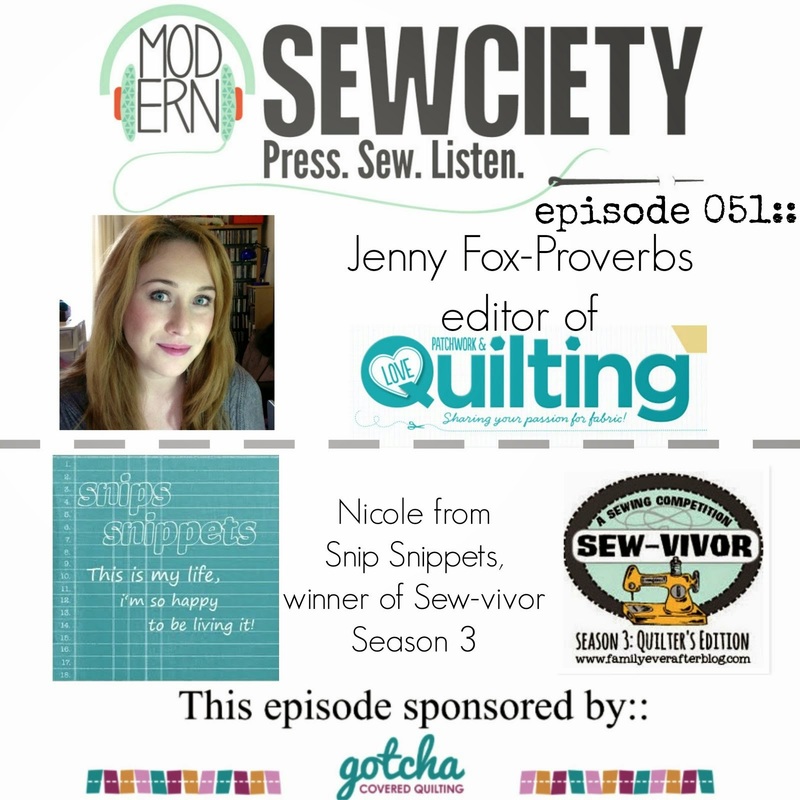 And do you hand sew your hexes or just do partial seams? 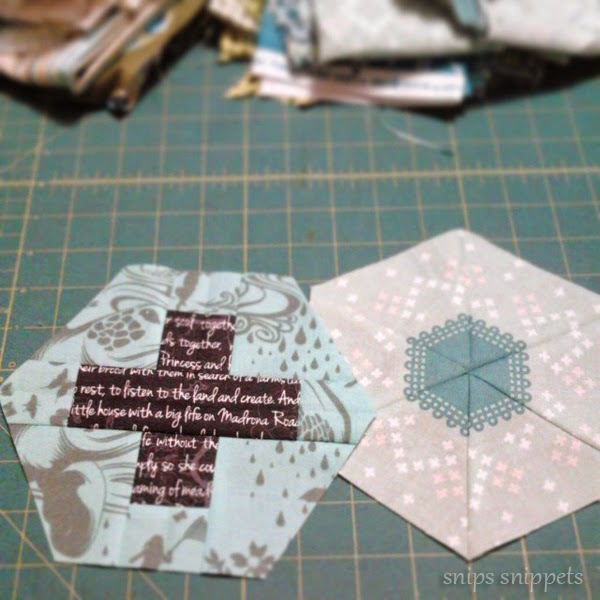 I want to do some hexes but I'm terrified of y seams!